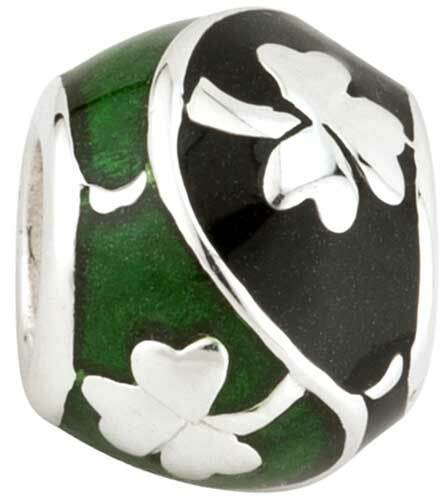 Shamrock charm features sterling silver construction that is enhanced with green and black enamel fields. This sterling silver shamrock charm is enhanced with alternating green and black enamel accenting and measures 3/8" wide. Sterling silver shamrock charm features a green on green enamel motif. Shamrock charm features sterling silver construction that is enhanced with green enamel shamrocks on a blue enamel bead.